It's here! 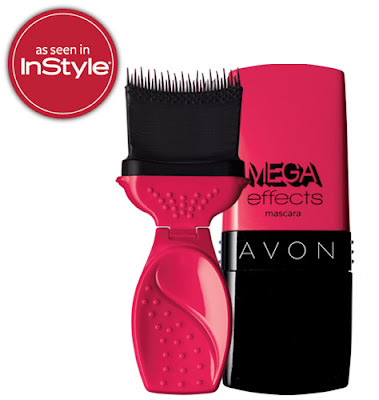 Avon's new Mega Effects Mascara offers phenomenal panoramic volume and transforms lashes form corner to corner. Here's my honest review. I've tried it and I love it. It does lengthen and curl my lashes and opens up my eyes. I still see some length after I take it off. The only thing I'll say is that I don't see much volume; my lashes are not thick to begin with. 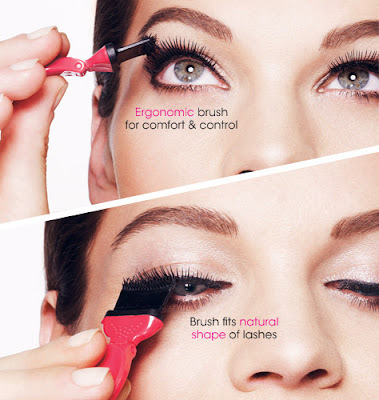 It is easy to use and covers the whole lash area with one sweep. It lengthens my lashes so much that they touch my eyelids so I try not to blink for a few seconds after applying the mascara. If you hate false lashes like I do, this is a great alternative. I am so hoping to win this give away . This mascara sounds awesome! Plus is I win I am using my credit for the beautiful dress -it looks like it would be easy to transition into fall too .